Flowers take centre stage with our Eos collection, with a trio of flowers in a choice of wonderful colours working perfectly against the clean background of our Italian textured cardstock. 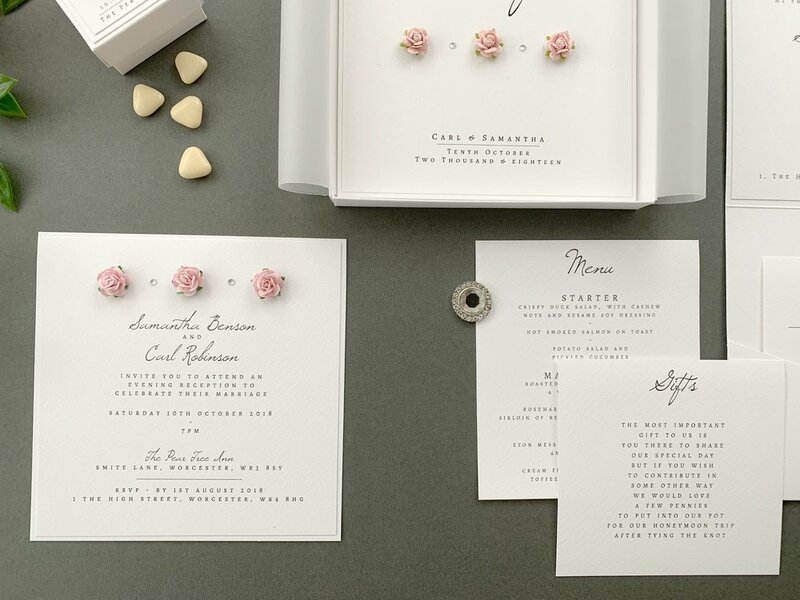 Vintage typography is combined to create a beautiful and simple floral wedding invitation. This design uses a trio of paper flowers which are available in a number of colour choices, we’ve used “Baby Pink” in the pictured examples. Click below to see the choices currently available. Our Eos collection uses layers of Italian textured cardstock for its design alongside Mulberry paper flowers and decorative gems.